The neoliberal notion of employability has risen to prominence over the past 20 years, having been positioned as the crux of national, organizational and individual prosperity. To be employable, individuals are increasingly called upon to be self-reliant; aligning themselves to the conditions of an ostensibly fast-moving and precarious global economy. This special issue of ephemera calls attention to the way this current preoccupation with employability tethers questions of equality and human development to the instrumental capitalist obsession with growth and renewal. 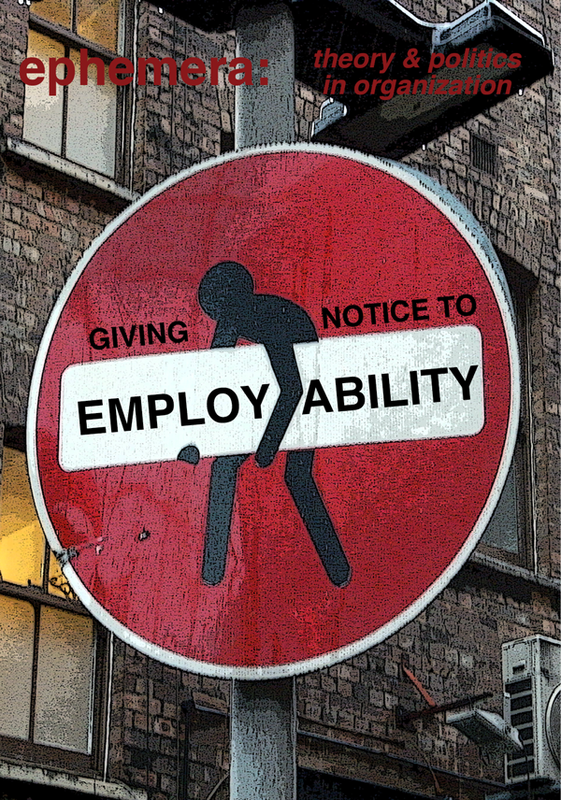 The 13 contributions to this issue ‘give notice’ to employability as a colonizing attribute of human resourcefulness that promotes marginalization, exploitation and stigmatization. By exploring the type of ‘self’ employability demands, and analysing the consequences of its required engagement, we hope employability will be both noticed and acted upon. You can order a print copy of the whole issue at your local bookstore or online. Does it ever stop kicking off everywhere?